At Roofmaster, we understand the importance of running an efficient, professional, and reliable business. 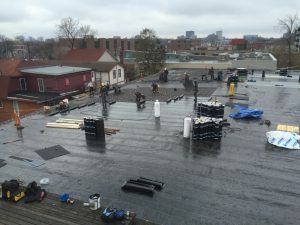 At the same time, being roofing experts, we bear in mind that a structurally sound and problem-free roof is a key component towards maintaining a commercial venture’s level of service. Sags, leaks, or penetrations can result in all sorts of problems including uncontrollable temperatures, mold and pest infestations, water damage, and electrical problems, and even structural damage. Roof damage makes for an uncomfortable work environment for employees and drives away customers. 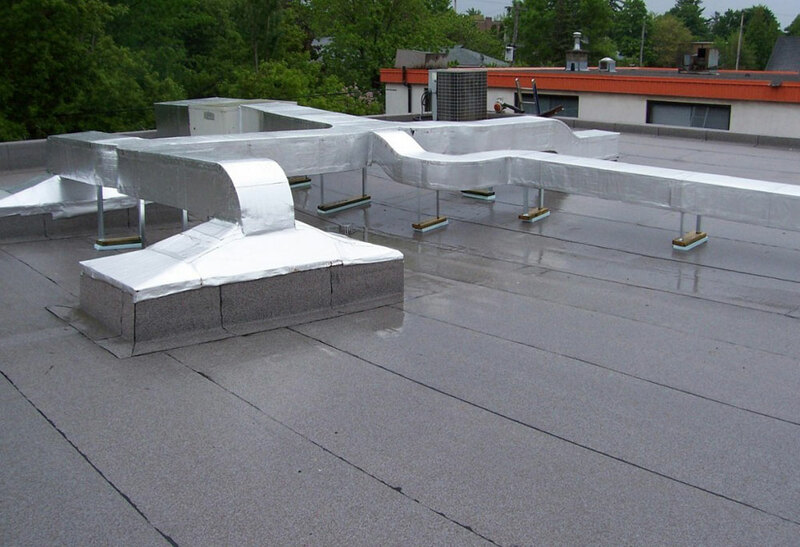 By addressing problems early and entrusting us with tending to your business’ flat or sloped roof, you can be assured of investment protection from a family-run team of roofing experts in business since 1981. 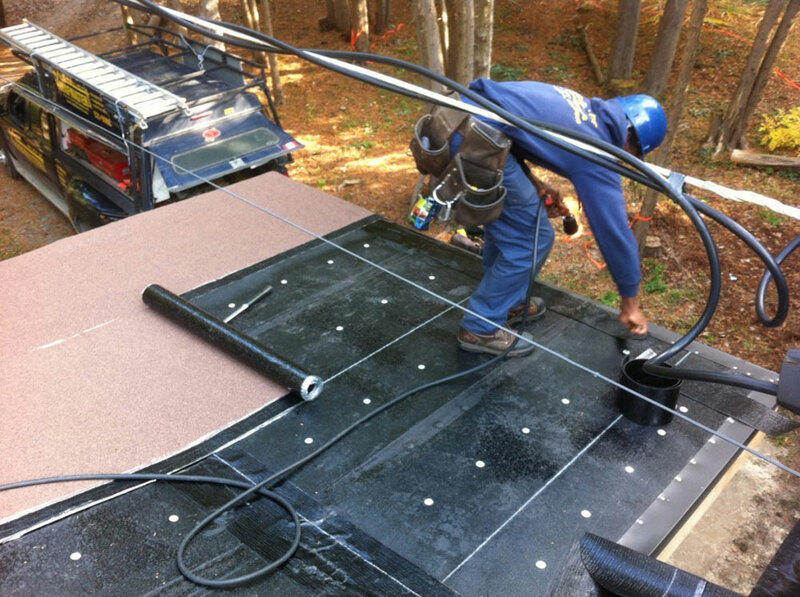 We carry out a comprehensive range of professional services including replacement, inspection, repair, green roofing, and more. We are fully insured, have extensive training, and over 200 years of combined experience. We make it a point to carefully examine and diagnose the integrity of each property we are called to service. Our highly knowledgeable team is known for recognizing problems before they cost business owners their hard-earned income, and we strive to provide appropriately meticulous and efficient service at competitive rates. 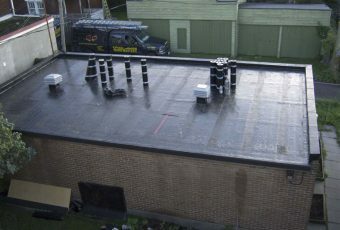 Whether you have a tar, gravel, PVC, or EPDM roof or would like one installed, we’re here to do the work and perform it without cutting a single corner. 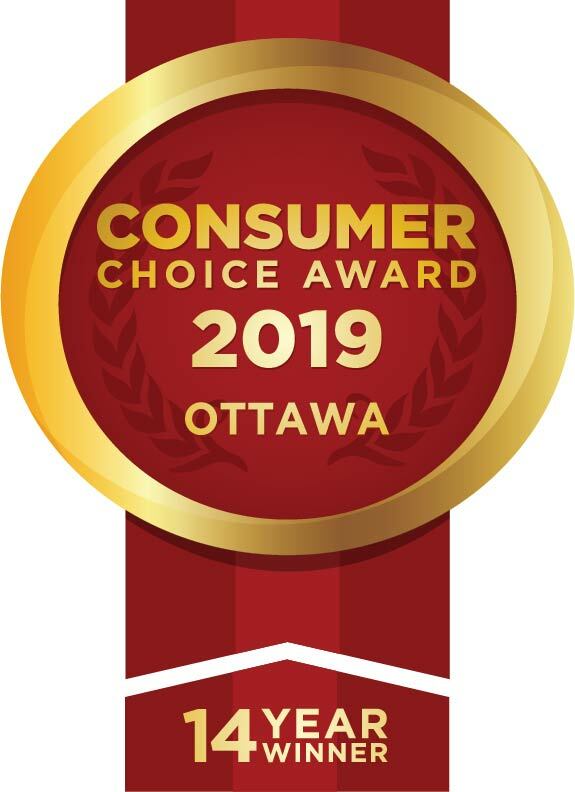 We also re-slope flat roofs, carry out eavestrough and gutter repairs and replacements, and remove snow and ice during Ottawa’s cold and precipitation-heavy winter months in addition to various specialty tasks, including everything from drywall and taping to solar panel installation. 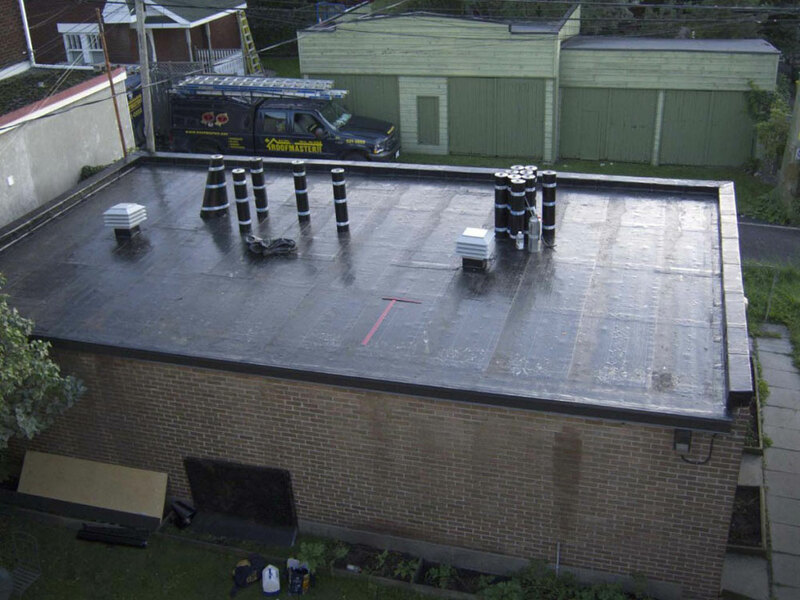 For commercial locations in need of the quickest service, you’ll be happy to learn that Roofmaster provides superior commercial roofing services throughout the Ottawa area. 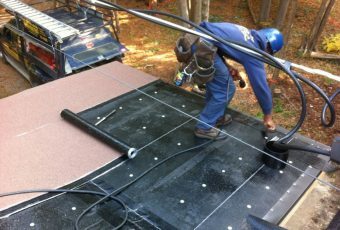 Roofmaster’s commercial roof division acts quickly to repair or replace the roof on your commercial property. Does your business have a flat roof leak or damaged roof? Contact us today for a free estimate.